Martial Arts and Indian Stealth Skills! Happy work out to you! This is the third part of a five part series. was the best light infantry in the world. all of which combined to make truly great silent warriors. walking is a process of unbalancing. and fall in a direction. I can’t even begin to tell you how inefficient this is. and without the need for unbalancing your body. consider how the Indians were raised. The woman cared for the child until the age of six. At six the brave took over. and to move with extreme awareness. And the family went hungry. and which led directly to combat. but they resulted in amazing warriors. Here’s something that many people don’t understand. The white man didn’t beat the Indians. He infected him with disease. so much as die out from disease. I liken the Indian hunting techniques to Tai Chi Chuan. as slowly as the wind moved a tree branch. You had to blend with the motion of nature. You had to have a strong body to support this slow motion. as if sprung from a spring. check out Five Army Tai Chi Chuan. on the methods of the finest guerrilla warriors in the world. Karate Blocks Make the Man! May you have the best work out of your life. 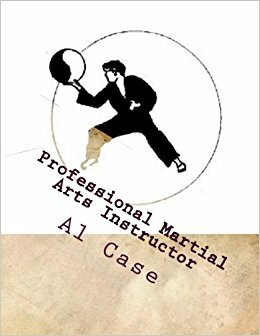 When I was in my teens I was studying Kenpo. and how the martial arts were shaped. I couldn’t make these strategies work. they just eluded me in combat. and I learned about pain. I learned that pain is a warning device. And it was all because of blocks. Most people won’t use a real block in freestyle. and there is a lesson in it. than it is to block. if I hadn’t learned how to block. where it all came home. from the first move of Batsai. In that technique I had to do three blocks. than somebody could throw three punches at me. For months I tried to get that technique. but I just couldn’t move my body fast enough. and the next second I could. Like a switch had been thrown. I felt like I was behind my head. and watching my body move without me. the thought pattern behind the blocks. and what was left was me. I had gotten so good at them I didn’t need them. just by thinking about it. Nowadays people don’t practice the blocks. the proper breathing and thought. that goes with learning how to block. for moving into other concepts. how to run energy through your body. that goes along with the martial arts. because they take PDFs easily. is the specific blocking in the forms. and you become the art. You get everything on these courses. which is very healthy for a student. The real lesson is in the work out. no matter which of my books or courses you get. 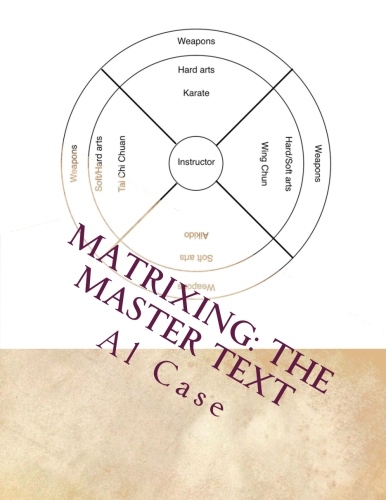 Here’s the full Matrix Karate course. and do you have a plan? you want to master this summer? used to push B1s around. he was carrying the biggest bullets known to mankind. and that the news media doesn’t cover. I told him about sanity. I told him that sanity was when you could observe reality. and said I was right. and you have to observe the exact reality of it all. most people deal in opinion. Opinion is talk without the facts. is asking for more crime. it is actually pretty easy to be sane. the stuff that doesn’t work. many people don’t do that. and the other 98 or 99 has an opinion. eschewed a chat room of my own. and the martial arts help you observe what is real. the more insane you are. And think about getting the Outlaw Karate course. and trying to find EXACTLY what worked. 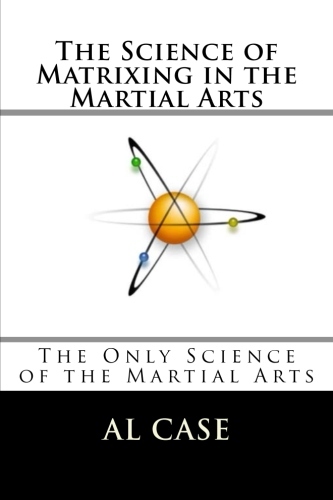 what martial art are you going to learn this summer? that makes it THE day for working out! I just received several emails. Some fellow was bashing me on his blog. then proceeded to ‘dissect’ me. and…what is really happening with matrixing. you have to teach him how to multiply. and he just doesn’t get it. she just sort of straightens everything out. you had never taught anybody. You didn’t know all the tricks. she knows all the tricks. they are like seventh graders. but they don’t know all the tricks. how all the arts fit together. the real philosophy behind it all. of their construct of how the world works. If they knew the truth they wouldn’t get mad. I don’t get mad…because I know the truth. on blogs and chatrooms and so on. and see what it is they don’t understand. which don’t always make sense. was dissecting one of my Kenpo books. And it gets very interesting. to what i had learned decades ago. He was saying things I had already pointed out in my book. using points i had already used to criticize myself. especially for so called critical thinking. This was the effect of matrixing. and was unable to evolve. I will say something else. then they will get what I am talking about. I gauran-forking-tee he did not do this. and he read the book without doing ANY of the techniques. Without experiencing what I was really saying. and he would have evolved. His art would have evolved. instead of a seventh grader thinking he was a teacher. because I have seen it work over the last ten years. There are thousands of people who have DONE the material I have written. Who have DONE the forms and techniques. Who have DONE the drills. And my wins book is packed with their stories. Over six hundred pages of thanks yous. So that is the point i want to make here. until you have done it for yourself. when you only know what a seventh grader knows. that brings us to where this matrixing thing is going. I love the martial arts. it is all a ball. 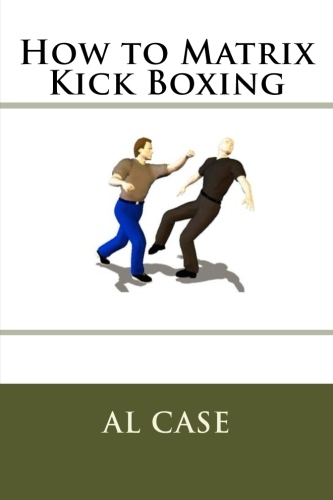 I left the fighting part of the martial arts decades ago. and I was able to put fighting aside. the point of matrixing is to help you do this, too. and they are seventh graders. We are talking about actual evolution here. you would have fifty years worth of knowledge. But what if I could give you that knowledge in a year or two? where would you be in fifty years then? and finally made sense of. where you don’t get mad? they beat each other up with baseball bats. that I have given up fighting. all those seventh graders are having out there. Do you want to give up anger? but like a calm, patient teacher? Do you like a world where you are out of control? and never partake of the chocolate cake in-between? that’s the truth of what Matrixing does. if you could suddenly ‘evolve’ yourself. of a society that is dedicated to killing itself. that are attempts to apply matrixing to other arts. It just seems to cause so much anger. and show them a thousand other streets. When I just want to evolve them. because they cannot understand the instructions? which can be closely watched. and how i could fix them. until they have completed the previous step. though I have made half starts. Reasons like I don’t have the time and wherewithal. but…that is where I am. is the Master Instructor Course. it presents how techniques work. behind the actual martial arts. It tells you the information you need to instruct. and not a seventh grader. so it is your month. by working out every day. decided he was going to do Tai Chi Chuan. because of his karate conditioning. it took him two years to recover. and it was too tough for a young karate guy. What’s wrong with that picture, eh? did Tai Chi he thought he could just do a karate kick slowly. in Tai Chi the muscles have to strain to keep the leg up. And I mean a whole sequence of muscles. all the way back to the spine..
at the beginning and end of the move. for a long(er) period of time. but it leads to an important concept. Tai Chi is suspended energy. from different points of view. But what I’ve said here is probably the best point to start. but defining how energy is actually used. and help you make the transition. you can get Tai Chi power. Just take it easy when you begin. But you do have to adapt to a different mind set. two sides to the martial arts. And there are many more sides that these concepts can lead to. Here’s the link to the Five Army Tai Chi Chuan course. Congrats to a New Master Instructor!